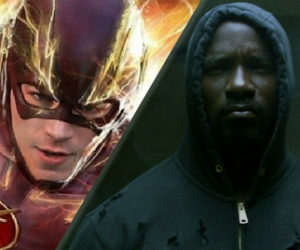 Episode 8 – Flashpoint, Agents of Shield, Luke Cage and more – All of My Issues! In episode 8, we discuss the season premiere of Flash. What happens in it? What are the potential repercussions? What does it all mean? We provide some of our theories. Now that we are two episodes into the new season, we spend a little more time discussing Agents of Shield. Luke Cage is now streaming, and we talk about our thoughts about it so far. Sam provides us with a comic book recap on the new issues of Civil War II and Sam Wilson- Captain America. All this and more! Enjoy!